When Robert Horry was picked No. 11 overall in the 1992 NBA draft, Muggsy Bogues was already five years into the league as a Charlotte Hornet. The two faced each other on the court one year shy of a decade before Bogues retired in 2001. Horry left the game in 2008. Yet, they still see each other often because of the work they do with NBA Cares, the league’s social responsibility program. The two were recently brought together for an odd pairing: whiskey and basketball. Just after the 2018 NBA draft, Horry and Bogues traveled to Lynchburg, Tennessee, as part of Jack Daniel’s inaugural NBA Legends Camp. They were captains and coached two winners of the Jack Daniel’s NBA Legends online contest. The winners brought four friends for a full squad and ended the three-day event in a game at the distillery’s recreation center. They also toured the 100-year-old distillery. Bogues and Horry remain relevant in their post-NBA careers. Horry played 16 seasons in the NBA, winning seven championships with three teams (Houston Rockets, two; Los Angeles Lakers, three; and San Antonio Spurs, two). Aside from navigating the professional side of life after basketball, both players are family-oriented. In the huge 1996 film that’s in conversation for a reboot, Bogues was one of five NBA players who lost his on-court talents, stolen by treacherous monsters who used the talents as their powers in an attempt to take down Michael Jordan and the Looney Tunes. Bogues holds the record during and after his 14-year NBA career of becoming the shortest player in the NBA at 5 feet, 3 inches. He added that their relevance also lies in their reputation throughout the league. Bogues lives in Charlotte, North Carolina, where he hosts youth camps and is an ambassador for the Charlotte Hornets. Horry is an NBA analyst at Spectrum SportsNet. In 2017, he partnered with Star Vizn to offer his NBA training regimen. Star Vizn is an online training platform where youths, adults, athletes, future entrepreneurs and aspiring entertainers can learn how to become better at their craft. They access the app via a monthly subscription. He joined Roy Jones Jr., Jerry Rice, Dominique Wilkins, Melissa Gorga and Cameron Mathison in the program, which offers individual workouts ranging from as little as five minutes to a grueling 50 minutes. Bogues, 53, is all about maintaining his health while spending time with his wife, celebrity chef Kim Bogues. Horry said the best advice he can give players is to start preparing for life after basketball now. Bogues wants players to prepare themselves for the next stage of their lives now. In 2017, the two shared their time with other NBA players as they participated in an episode of Celebrity Family Feud. 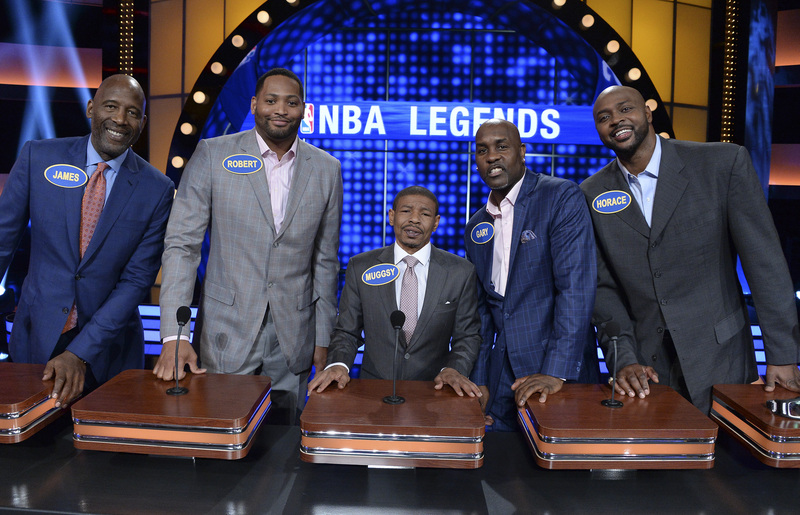 Robert Horry (second from left) and Muggsy Bogues (center) participated in a MLB Legends vs. NBA Legends face-off on Celebrity Family Feud, vying to win cash for charities of their choice.